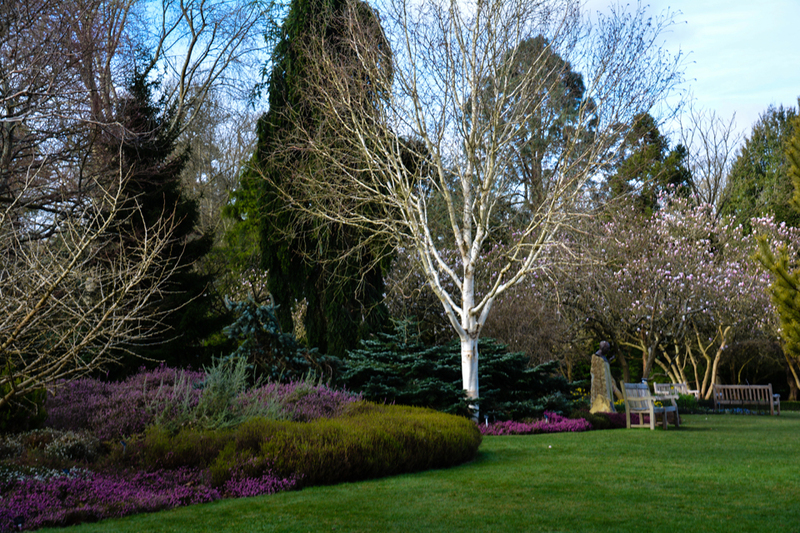 The Heather Garden contains a range of heathers, delightful trees and shrubs. This gives all year interest of both flower and foliage. The Himalayan birch have white, pink and even dark grey/brown bark. The unusual dwarf Ginkgo cultivars show their butter yellow autumn colour. Pinus sylvestris ‘Gold Medal’ turns even more yellow during the cold winter months. You can also see Tetrapanax papyrifera, which has large leaves the size of a small parasol. The heathers themselves change frequently. The oldest plants requiring replanting and renewal every 10 years or so. This allows new and different cultivars to be tried.